As a long time resident of Sacramento, Michael Lee brings a wealth of knowledge and experience to his clients and is committed to listening carefully to their home needs. 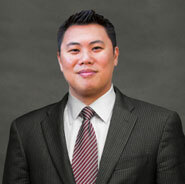 His passion for the real estate industry grew from the joy of relationship building with his clients. Many of his clients stay in close contact, sharing their personal milestones, and refer friends and family for their real estate needs. Above all, Michael makes himself accessible to his clients at all times and continually pushes his boundaries to provide unparalleled service to help as many others along the way as possible. With his knowledge in loans, real estate and investments this makes his level of service perfect for buyers and sellers. Homes for sale in Sacramento! I specialize in selling and purchasing single family residences, trusts, short sales, commercial, investment properties, and home loans. Luxury homes for sale in Downtown Sacramento, Land Park, Greenhaven, Roseville, Elk Grove, Cameron Park, Fair Oaks Carmichael and more.